Suryatech Solar Systems | Like a Sun, we are always with you! Like a Sun, we are always with you! More than 10,000 Satisfied Customers, Proves us to be the Most Trusted Brand for Solar Products. We are well known for Quick and Accurate Installation Services. We employ Latest Engineering and Manufacturing practices to Assure Best Quality of the Products. 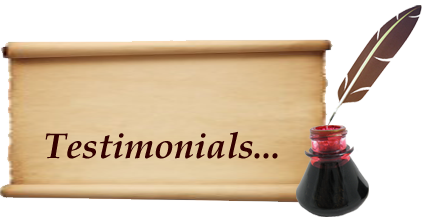 Rich Experience & Deep Understanding of the Client's Requirements Helps us to Serve the Best to Clients. Team Suryatech which realizes the tagline - "Like a Sun, we are always with you!". Suryatech Solar Systems, Pune has received many awards and recognition for its quality services in the solar energy sector. 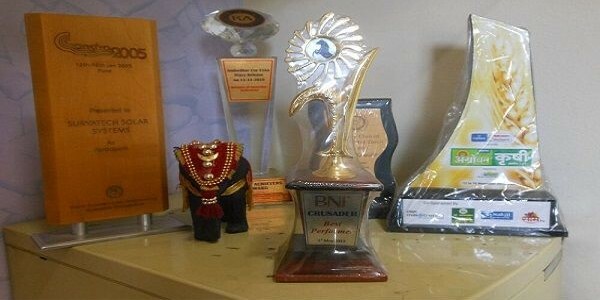 These accolades inspires us to set new benchmarks of our services. In a developing country like India, the demand for the energy is ever increasing but with the available conventional resources of energy, it's really tough to meet this increasing demand. An excellent alternative to reduce the burden on conventional resources of energy is to use Solar Energy. Solar Energy is not only an efficient source of energy but also it is a absolutely free. Use of solar Energy is environment friendly as well. All that we need to utilize this great source of energy, is to use good solar products. Suryatech Solar Systems, Pune is an ISO 9001:2008 Certified Company established in the year 1999, with a motivation to serve customers with a wide range of world class solar energy products. Under the guidance of our mentor Mr. Mukund Kamlakar, Suryatech Solar Systems has emerged as the most trusted brand for the solar energy products, with it's quality consistency, on time delivery and ethical business practices. 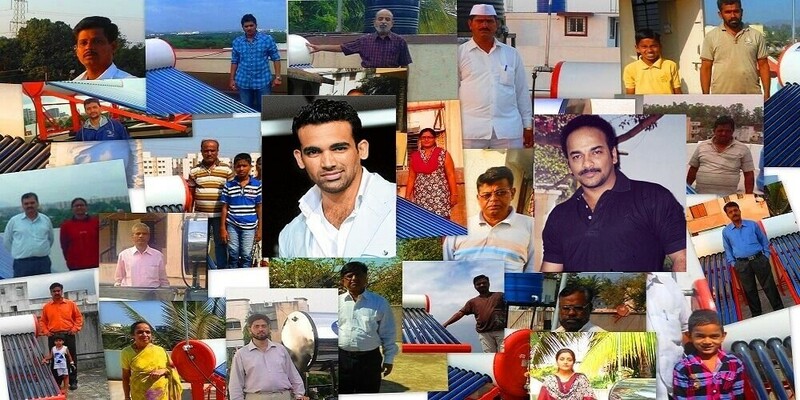 We are expert in designing, manufacturing and supplying solar water heaters as per the client requirements.With more than 10,000 satisfied customers enhances our credibility. 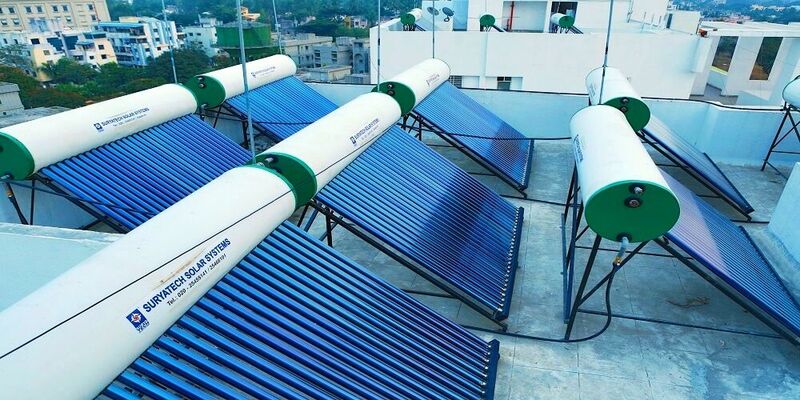 Suryatech Solar Systems caters a wide variety of products including Evacuated Tube Collector Solar Water Heaters, Flat Plate Collector Solar Water Heater, Solar Power Packs, Solar Street Lights, Solar Cooker, etc. Suryatech Solar Systems's manufacturing plant is equipped with latest machines. 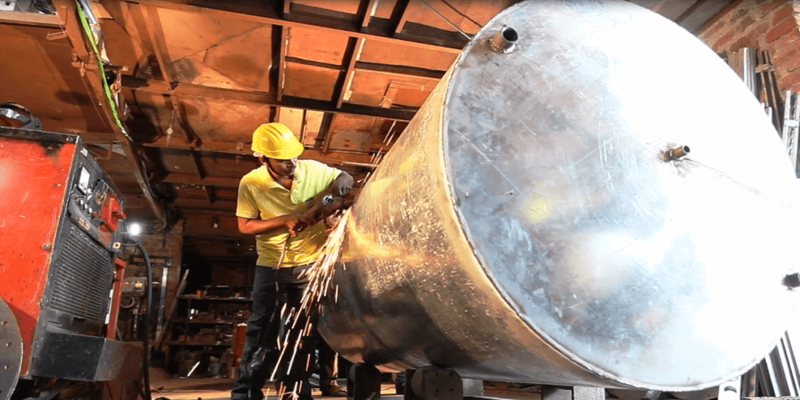 Our persistent efforts to embed the latest technology in engineering & manufacturing of products helps us to deliver products with high performance, compact size, accurate design, fine finishing & easy installation. 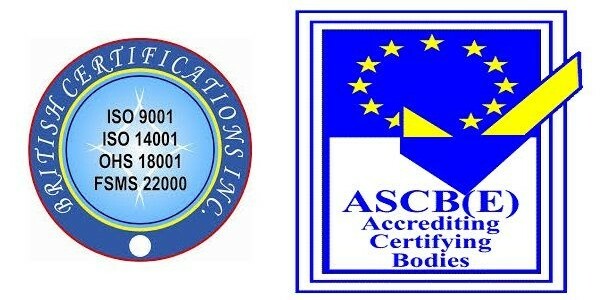 We have control and testing facility as per the ISI standards which ensure high quality products. Suryatech at a glance . . . Copyright © 2019 Suryatech Solar Systems. Powered by WordPress. Theme: Spacious by ThemeGrill.